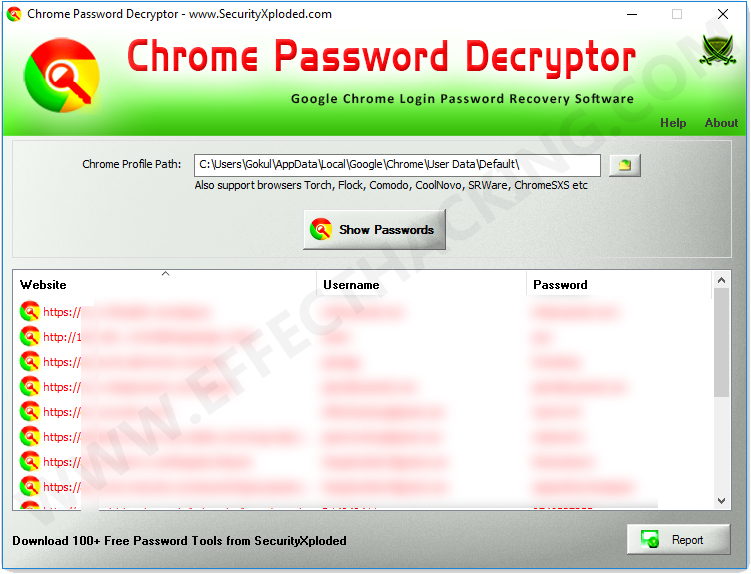 Chrome Password Decryptor is a free tool that has the ability to recover passwords stored by the Google Chrome web browser. It can automatically detect the default Chrome profile path for the current user and display all the stored login passwords in clear text after decrypting them. And, it allows you to save the password list in HTML/XML/Text/CSV format. It works on a wide range of platforms starting from Windows XP to Windows 10. 1. 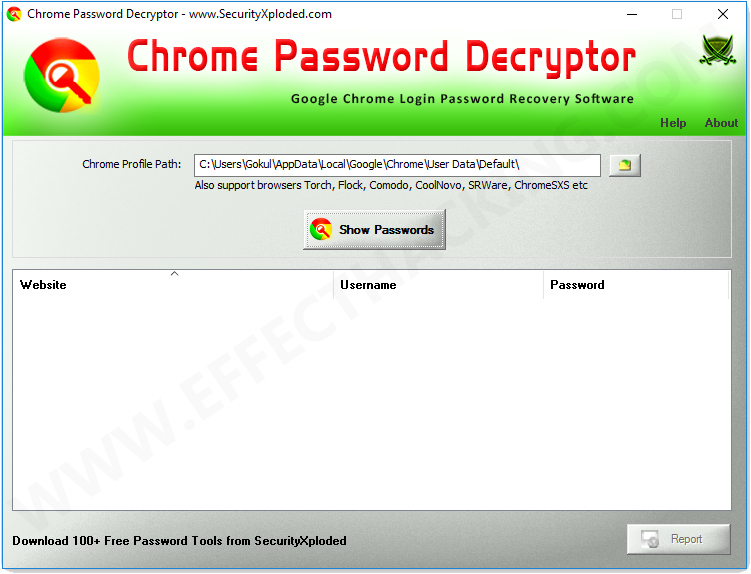 Download and install Chrome Password Decryptor on your computer (download link is at the end of this article). Then launch the program, you will see a window as shown below. 2. Click on the "Show Passwords" button. 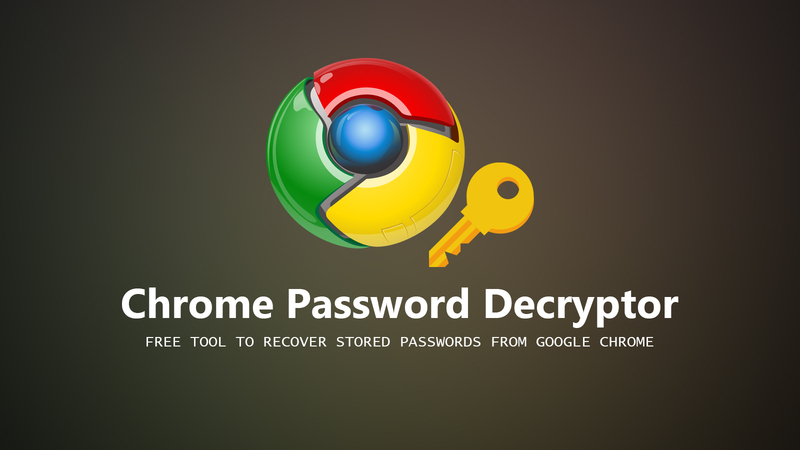 All the passwords stored in the Google Chrome will display on the program window. Now if you want to save the password list, click on the "Report" button and save it. Or you can just copy a particular login info by simply right-clicking on it. 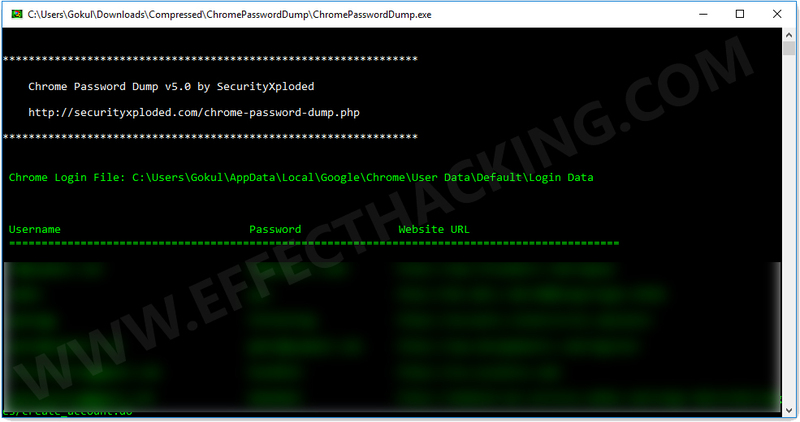 If you like to use command-line tools, then you might also like the command-line version of the Chrome Password Decryptor program: "Chrome Password Dump".